We just received confirmation from the PR agency of Samsung Philippines that the Galaxy J7 Prime is coming to the local shore and tomorrow, October 10, will be its official unveiling. 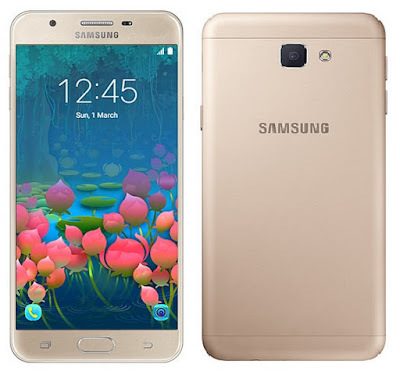 The Samsung Galaxy J7 Prime was recently unveiled in India, it sports a 5.5-inch Full HD display powered by Exynos 7870 (the same chipset found in the Galaxy J5 2016), which has 8 Cortex-A53 cores clocked at 1.6GHz each combined with ARM Mali-T830MP2 GPU. The multitasking is handled by 3GB of RAM for smooth transition between apps and 16GB of ROM is there to take care of your files plus a dedicated storage expansion slot is there to accommodate up to 256GB of micro SD card. The handset also features 13MP main camera with f/1.9 aperture for better low-light performance, while an 8MP front camera of the same aperture is there for your selfie needs. Other notable specs are dual Nano SIM with LTE connectivity, fingerprint sensor, 3,300mAh non-removable battery and runs on Android 6.0 Marshmallow. In India, it retails for 18,790 Indian Rupee or about 13.6K in Philippine currency, so expect local SRP to be in the same range. By the way, the Galaxy J7 2016 now sells for Php12,990 (from Php14,990), which simply means the Prime will have a higher price tag. It is now available nationwide for a suggested retail price of Php13,990, and comes with free Level Active earphones and a premium back cover.